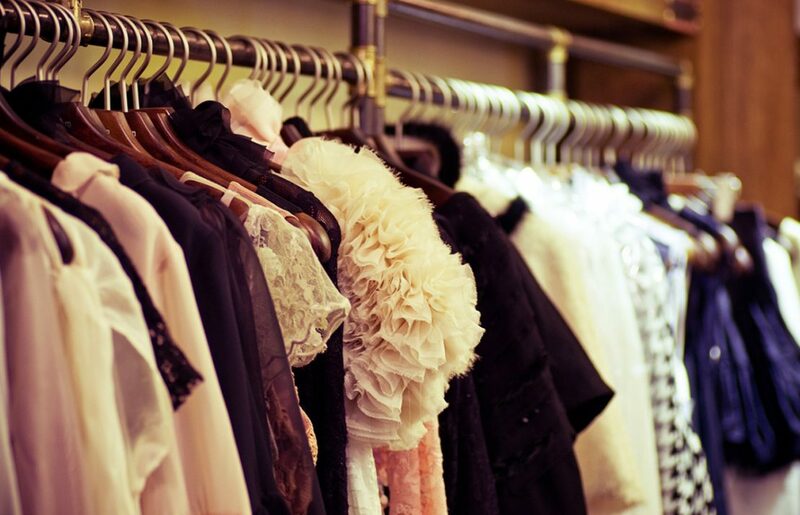 In difficult times, we often look to humanitarian groups to support those in need. Since the onset of the refugee crisis, this has certainly been the case in Brazil. To supplement governmental support, which can be quickly overwhelmed by an influx of immigrants, Atados used a project model that revolutionizes the way volunteers become involved in solving social crises. 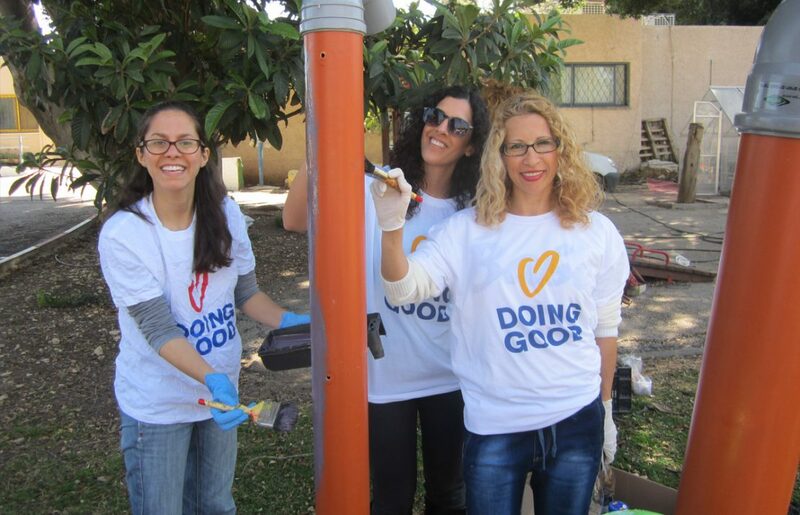 Volunteers from the first Good Deeds Day celebration in Brazil, led by Atados. Atados’ three-pillar model works to 1) awaken people’s interest in social causes, 2) connect them to nonprofits and, 3) develop projects with high potential. They have used this program to support a variety of quick-action campaigns and engage a large number of volunteers, especially in traditionally non-engaged communities. One of these campaigns was Feminicidade, which promoted gender equality and women’s empowerment, and engaged more than 500 volunteers in 2016. 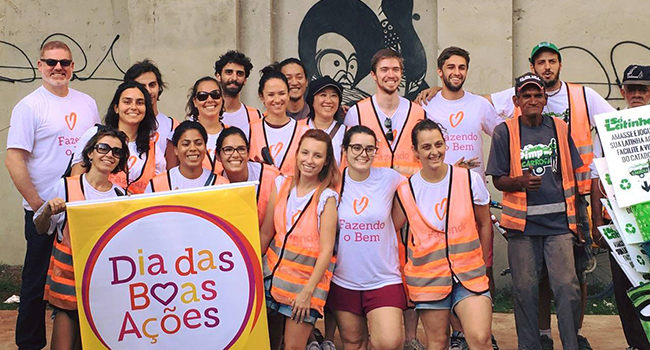 Atados also organized the first Good Deeds Day celebration in Brazil, which activated more than 10,000 volunteers across 40 Brazilian cities last year. With its successful track record in volunteer engagement, Atados readily adapted its model to respond to the global refugee crisis and provide aid to the people who had already taken refuge in Brazil. Since 2011, the number of refugees in Brazil has doubled each year. In 2013, Atados began connecting with these refugees through Adus, a nonprofit that offers free Portuguese lessons and helps resolve legal, medical and work issues, playing a critical role in helping refugees integrate into Brazilian culture. Atados collaborated with Adus to organize the World Cup of Refugees. The success of this project inspired the organizations to create Abraço Cultural, a language school that employs refugees as teachers. 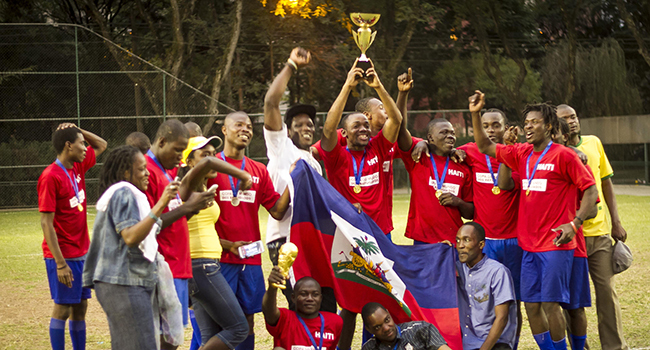 In 2014, Adus and Atados collaborated to organize the first World Cup of Refugees, scheduled to take place around the same time as the official World Cup in Brazil. In addition to uniting 150 volunteers, 150 refugees and an audience of more than 200 people, the event was also broadcast by several outlets, which helped bring attention to the struggles of refugees in Brazil. After shedding light on the cause, Atados moved on to the second pillar of its program – connecting people to nonprofits. From teaching Portuguese to organizing volunteer events, Atados has connected nearly 300 volunteers with service opportunities at Adus. 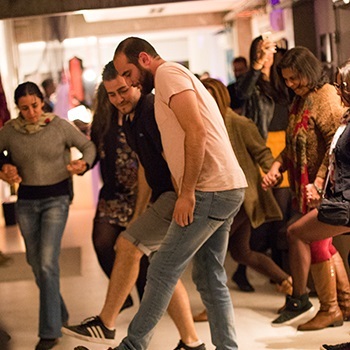 During Sarau, a multicultural party hosted by Abraço Cultural to promote diversity, refugee instructors taught dances from their native countries to students and community members. This school, which employs refugees to teach about the culture and language of their native countries, hired 15 refugees to teach 120 paying students in its first year. Abraço also engaged more than 80 volunteers to help get the school off the ground through communications support, teacher training, administrative functions and cultural activity implementation. Using these three interconnected pillars, Atados is able to support a wide range of causes, engaging volunteers at a high capacity to accomplish major projects that achieve sustainable results. With their eyes on creating future projects, Atados plans to build a new program called Creator of Acts. 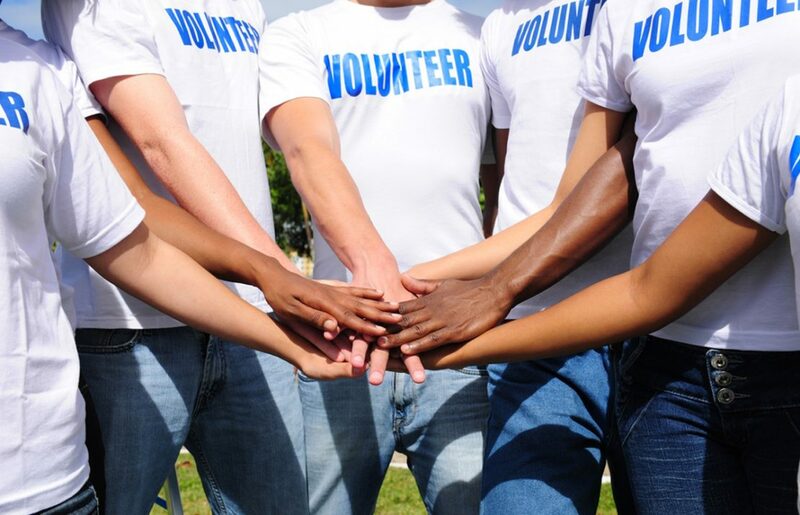 This program will help nonprofits identify and scope innovative volunteering opportunities that will continue to engage previously non-engaged citizens in inventive solutions to the problems that their communities face.